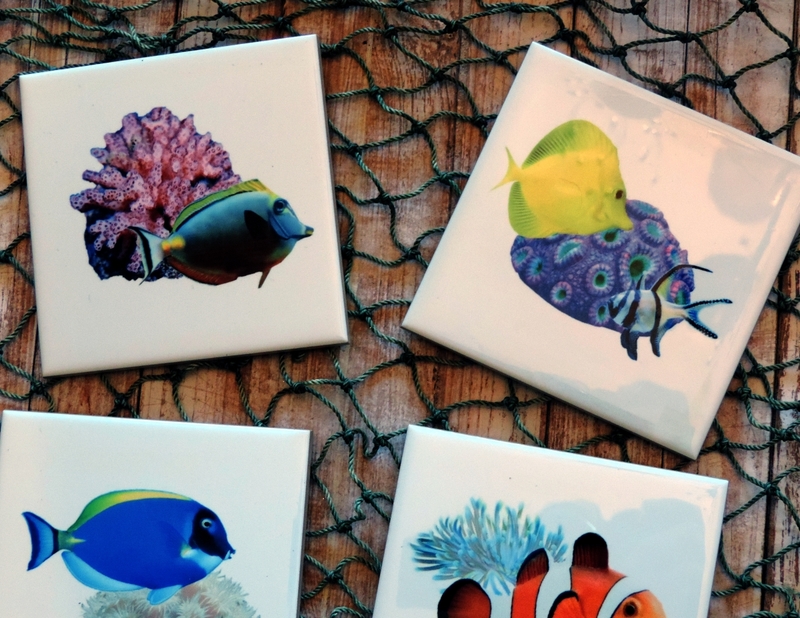 These pretty saltwater tropical fish and coral coaster set would look perfect in any beach style home or make a great gift. 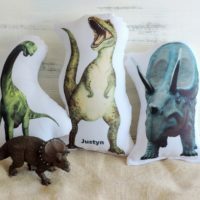 They can be personalized too! 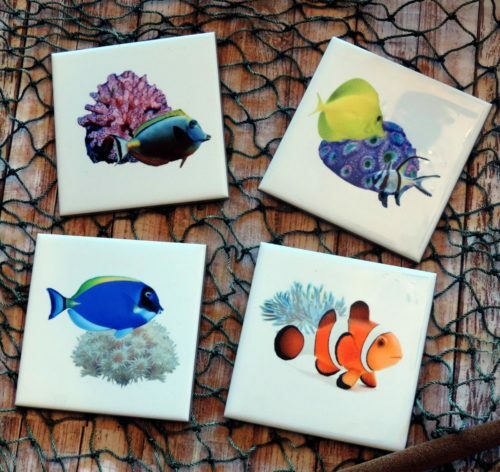 This saltwater tropical fish and coral coaster set would make a great gift for a Saltwater Reef Aquarium hobbyist. This tropical fish coaster set features four designs featuring saltwater fish and coral images like clown fish, yellow Tangs and more. 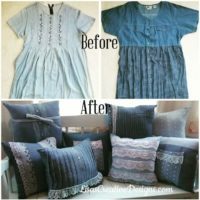 They would make a pretty addition to your coastal, beach style home. 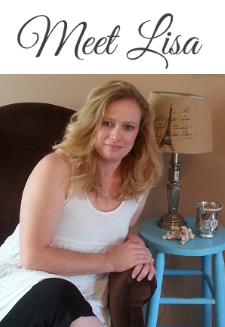 They also make a wonderful gifts for someone who is a saltwater reef aquarium hobbyist or just loves the ocean. 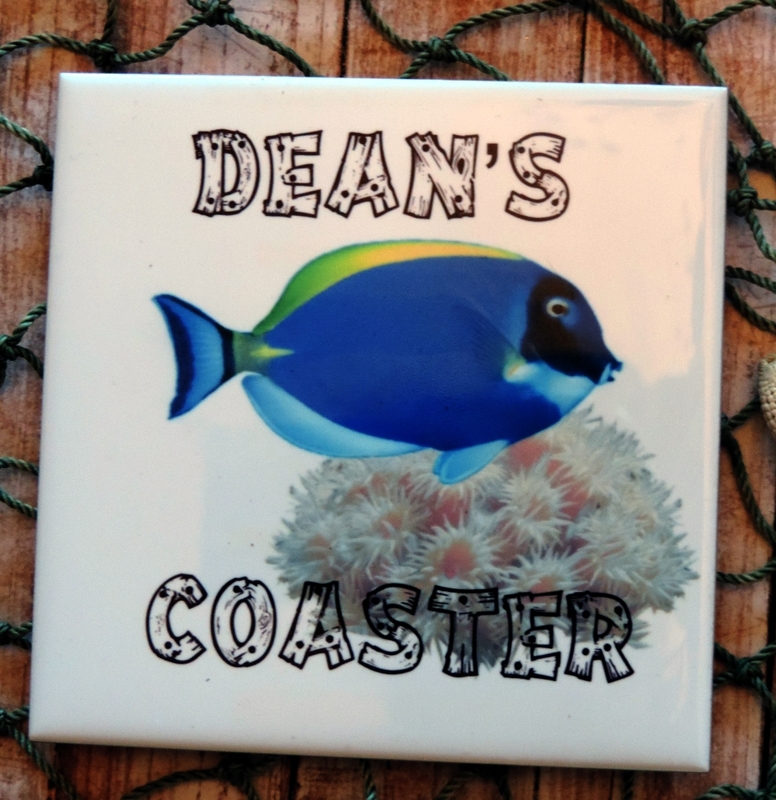 Each saltwater fish themed coaster measures 4.25″ square. 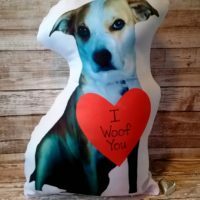 Custom Made To Order. 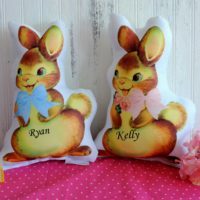 Can be Personalized too! 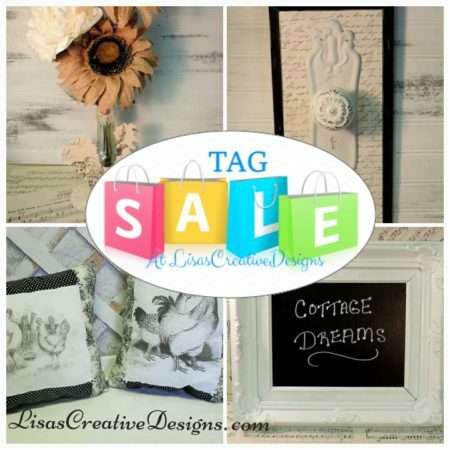 ***These beautiful coasters are NOT decoupaged (paper glued on the surface). The image is heat set directly onto the ceramic tile and is heat proof/water proof and hand washable with any mild household cleaner. 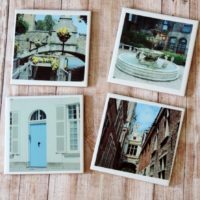 These handmade Europe photo coasters will add a touch of European charm to your home. A perfect gift for those who love to travel to Europe and Belgium! 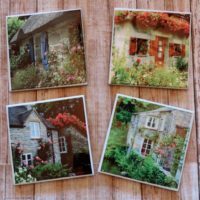 These vintage inspired English Cottage Photos ceramic tile coasters will add old world charm to your home. They feature English cottages and their gardens. 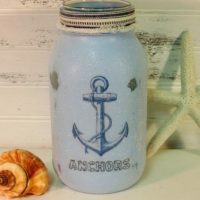 Relax by candlelight and imagine the sounds of waves touching the coastline with this vintage inspired beach anchor painted mason jar candle holder. It has been glittered for a touch of elegance. 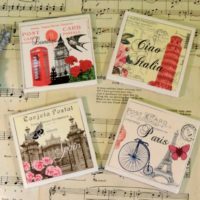 These vintage European postcard inspired tile coasters will add old world charm to your home.